After become the most downloaded game in London with more than 7,000,000 downloads, DIGIT and his friends did not want to miss the opportunity to participate again in RIO 2016!! 7.000.000 downloads !! Finger Olympic is a Track and Field sports game for IPhone & IPod touch where you can be an Atlhete player in many skill levels. Finger Olympic is a Track and Field sports game where your fingers can be an Olympic player. Finger Olympic reach 1st place on the USA APPSTORE Ranking for 1 WEEK during LONDON 2012 Olympic Games and getting more than 7.000.000 downloads. DIGIT and his Finger Friends go to the London 2012 Olympic Games !!! X-DEAD is an intense First-Person Shooter casts you in the starring role of a post-apocalyptic game, where you’ll be stalked by very aggressive zombie mutants while you scour hearth-pounding levels reaching objectives, solving puzzles, and searching for ammo and cash pick-ups. Fight against zombies mutants, a well equipped mercenaries, and one more thing .... you must also fight against the growing infection in your body. In this game you will start already infected. The finger athletes are back again! 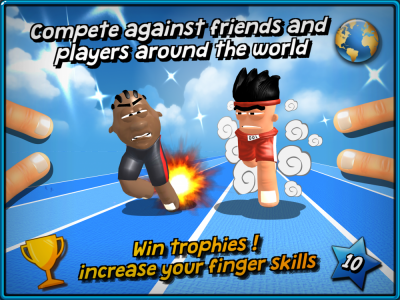 After become the most downloaded game in London 2012 with more than 7,000,000 downloads, DIGIT and a lot of new Finger Friends comes again with many more olympic challenges! 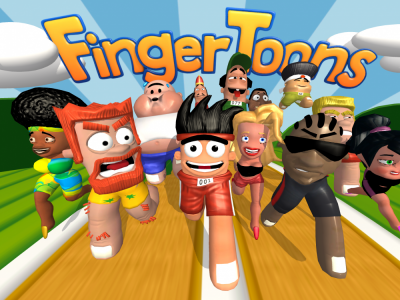 FINGER TOONS Compete against friends and players aroud the world ! FINGER TOONS New Event! 100m Freestyle! Compete with your friends in Multiplayer LAN mode via WiFi !!! The Fingers Olympics have come again !! After become the most downloaded game in London 2012 with more than 7,000,000 downloads, DIGIT and his friends did not want to miss the opportunity to participate again in RIO 2016 Olympics !! NOW in 3D and with MULTIPLAYER MODE ! We are a small indie studio, located in Mar del Plata, Argentina, we develop games since 2011. 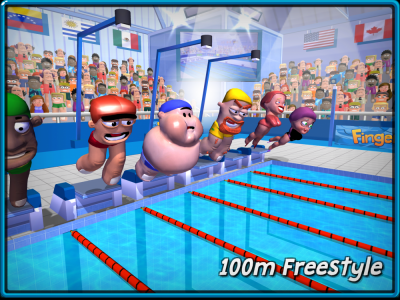 2011 - Our first game was "Finger Olympic" a Track & Field sports game released in October 2011. 2012 - Finger Olympic has reached the Top 10 overall for 1 month and landing at the number 1 position for 1 week on the iTunes Top Overall chart getting more than 7.000.000 millions downloads during London 2012 Olympic Games. 2013 - We start to develop games with the Unity engine, and after two and a half years of hard work we release our second game "X-DEAD" a classic First Person Shooter mobile against zombie mutants in an wolrd Apocalyptic scenario. 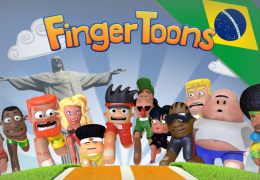 2016 - In an Olympic year we release our third game called "Finger Toons", the same characters and mechanics from Finger Olympic, but now fully developed with Unity in 3D, with MULTIPLAYER mode and characters customized from fingers from all around the world. 2017 - We also start to develop games for publishers, partners or video game studios that want to outsource the development of their 2D / 3D projects. Our center of operations is in Argentina, which allows us to have high competitive advantages in terms of costs due to the difference in the monetary exchange. 2018 - We will be at GDC 2018 looking for new projects and ventures. We have learned a lot of technicalls skill from all of this years, but nothing more important that we are privileged people who love to do their job. Hope you like our games!! Suscribe Now and stay tuned for new releases !